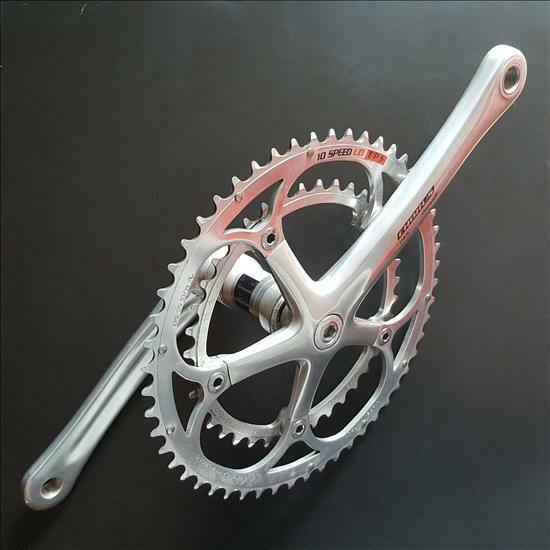 The aluminum crankset of the Chorus groupset is changing faces. The 2004 version is the four-arm version that has been made famous by the Record groupset. Lightness and stiffness are its distinguishing features.